Several senior Social Democrats (SPD) and Greens have for the first time acknowledged that Greece has a case for WWII reparations. This contradicts the stance of German Chancellor Angela Merkel's government which had ruled it out. “We should make a financial approach to victims and their families,” said Gesine Schwan, chairwoman of the Social Democratic Party (SPD) values committee told Der Spiegel Online on Tuesday. “It would be good for us Germans to sweep up after ourselves in terms of our history,” she said. “Victims and descendants have longer memories than perpetrators and descendants,” said Schwan, who was nominated as a candidate for President twice in 2004 and 2009. SPD deputy leader Ralf Stegner agreed that the issue should be resolved, however independently from the current debate over the Euro crisis and Greek sovereign debt. SPD is the second major party in Germany that shares power with Merkel’s conservative Christian Democratic Union and the Christian Social Union (CDU/CSU). Demands for reparations from Germany dating back to the Nazi occupation during World War II have been voiced by Greek politicians over the past 60 years, but have gained renewed energy amid the recent financial crisis and tough austerity measures in exchange for largely German-backed loans. In April 2013 Greece officially declared that it would pursue the reparations scheme. Greece’s Prime Minister Alexis Tsipras leader of the anti-austerity Syriza party relaunched the heated debate in February by saying that Athens has a “historical obligation” to claim from Germany billions of euros in reparations for the physical and financial destruction committed during Nazi occupation. However, Germany’s government has said that this issue has already been legally resolved, arguing that Greece is trying to detract attention from the serious financial problems the country is facing. With Berlin refusing to discuss the issue, Greece’s Justice Minister Nikos Paraskevopoulos warned On March 11 that Athens could start seizing German assets. As Tsipras is set to meet Merkel in Berlin on Monday, the issue of war reparations is likely to increase existing tensions between Greece and Germany. 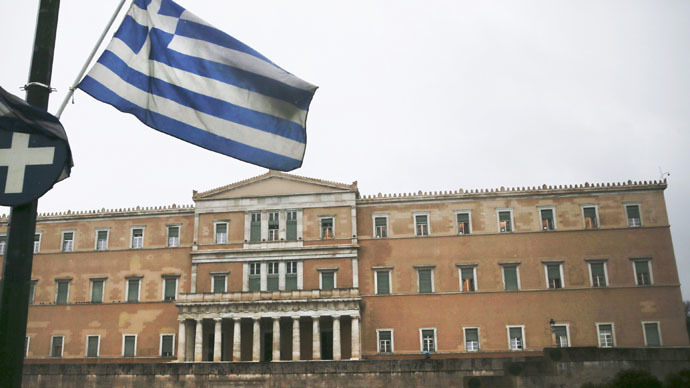 Athens demands to renegotiate the terms of a €240 billion ($260 billion) bailout. However, Germany is showing few signs of leniency. Tsipras claims Germany owes Greece around €162 billion ($183 billion) , which is about half the country's debt loan, estimated at over €315 billion. The figure is said to cover €108 billion for infrastructure damage wrought by the occupying Nazi forces between 1941 and the end of the war, and €54 billion as compensation for the unpaid loan. Germany says it paid Greece war damages of $25 million in the 1950s, equivalent to $220 million today, and also paid out 115 million Deutschmarks (a sum worth around $230 million today) in the early 1960s to the victims of the Nazi crimes. The Greek PM said in March that he promises to get a parliamentary commission to look into the matter. After the German reunification the “Two Plus Four” treaty was signed involving East and West Germany, as well as the four occupying nations following the Second World War. It led to the renunciation of all rights they formerly held in Germany. The document was also approved by Greece.